When Trinna Wooster’s then 5-year-old son wanted to make a difference this past holiday season, she didn’t hesitate. 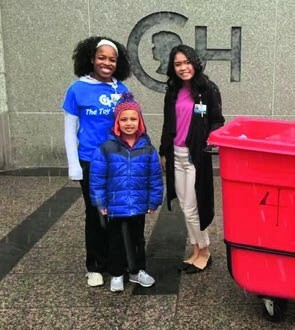 Jordan Slippi-Mensah, now 6, simply wanted to raise enough funds to buy gifts for children in need, “just to make the world a better place.” The mother-and-son duo ultimately hosted a hot cocoa stand right outside their home in Washington Township in November and raised a total of $1,005. “We created signs for our hot cocoa stand, so not only friends and family joined, but also people passing by our house,” explains Wooster. “People driving by stopped, along with some people walking/running the neighborhood.” Additionally, Wooster’s husband, Steve, also created a Facebook event page, which helped spread the word.